The Mechille Wilson Agency, a family owned insurance firm with offices serving Jasper County and the surrounding communities, is launching a charity event to help raise funds to support Rhonda, a local woman taking part in the American Cancer Society’s Relay for Life campaign. The largest and most impactful fundraising event to end cancer in the world, the American Cancer Society’s Relay for Life event unites people and communities from all over the world to celebrate cancer survivors and to raise funds that will go to support both ongoing cancer research and families who need assistance during their struggle to beat the disease. “The American Cancer Society saves 500 lives a day, and this charity drive will help raise funds that will directly support their life saving mission,” says Mechille Wilson, founder and manager of the Mechille Wilson Agency. Capitalizing on an extensive network of community contacts, Wilson and her team are creating an online social media page and utilizing an email awareness program to gather support for the charity event from families and business in nearby cities. 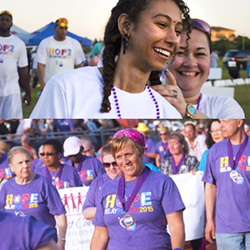 Moreover, Wilson and her team will feature the American Cancer Society Relay for Life event in the upcoming issue of “Our Hometown,” a monthly online magazine published by the firm: http://mechillewilsonagency.com/Our-Hometown-Magazine_41. The Michelle Wilson Agency has also committed to a permanent community improvement campaign that will involve working with another local charity or cause semi-monthly. Readers interested in joining the Michelle Wilson Agency as they work to gather support for the ACS Relay are encouraged to make a contribution to the effort from this page: http://mechillewilsonagency.com/Relaying-For-Life-with-Rhonda_22_community_cause. Readers who want more details regarding other local charities supported by the Michelle Wilson Agency can visit the firm’s Community Causes page: http://mechillewilsonagency.com/community-cause. Agency owner Mechille Wilson knows many local families. Her knowledge and understanding of the people in her community help Mechille to provide her customers with an outstanding level of service. She and her team look forward to helping families protect the things which are most important to them - family, home, car and more. They can also help clients prepare a strategy to achieve their financial goals. To contact a caring expert at the Mechille Wilson Agency, please call 409-994-2009.